How Many Calories Are in Turkey Breast Lunch Meat? If you are counting calories but still looking for a delicious lunchtime treat, turkey breast lunch meat might be the way to go. You could enjoy this lunch meat in sandwiches or get creative and make turkey breast roll-ups with low-fat cheese, leafy greens and mustard. Turkey breast is a tasty, versatile and protein-rich lunch meat that is sure to satisfy your whole family. 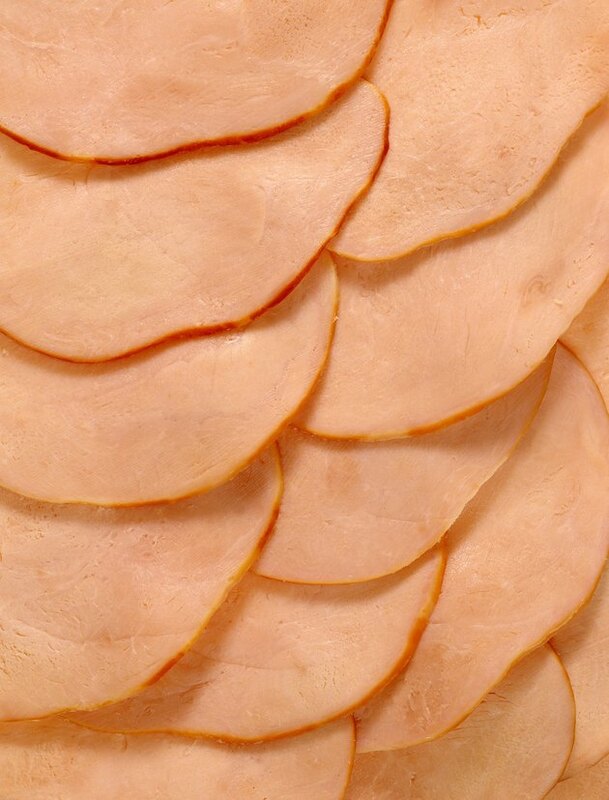 One 21-gram slice of turkey breast lunch meat contains 22 calories. Of those calories, 14.32 come from protein. 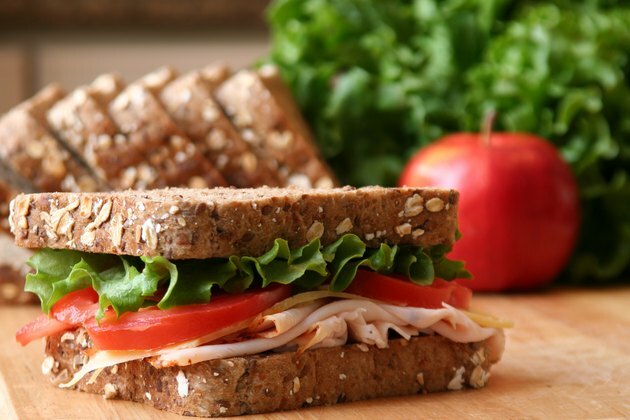 This means that about 65 percent of the calories in one slice of the lunch meat are from protein. Sixteen percent of the calories are from carbohydrates, which contribute 3.52 calories per slice. Fat contributes 3.15 calories to each slice, taking up about 14 percent of the total calorie content.